On the Friday evening before his 3rd win at the Genesis Open at Riviera CC in Los Angeles, February 18th, Bubba Watson laced up his high-tops for the NBA All-Star Celebrity game at Staples Center in downtown LA. It was an experience he couldn't bear to miss; he "had an awesome time". Who knows--maybe it even contributed to his Sunday win, his 10th on Tour, and first since winning the Genesis 2 long years ago. Bubba's back! Meanwhile, another athletic drama was playing out in LA, this one a political, racially-tinged kerfuffle between NBA All-Star MVP LeBron James and a Fox News pundit, who reacted with a nasty, fact-challenged rant, calling LeBron "ignorant" and adding this gem advice, "shut up and dribble". LeBron and fellow All Star, Kevin Durant, were having none of it; they eloquently expanded upon their views in a televised NBA All-Star game media session. LeBron underscored his message with another kind of signature statement: He showed up for the All Star game with the words, "MORE THAN AN ATHLETE"' emblazoned on his white Nike's. This isn't the first time LeBron has used his shoes for social commentary. At a December game in Washington, D.C., he wore one white shoe and one black shoe, each bearing the word "equality", embroidered in gold--as a protest to the divisive words and policies he saw emanating from the White House. 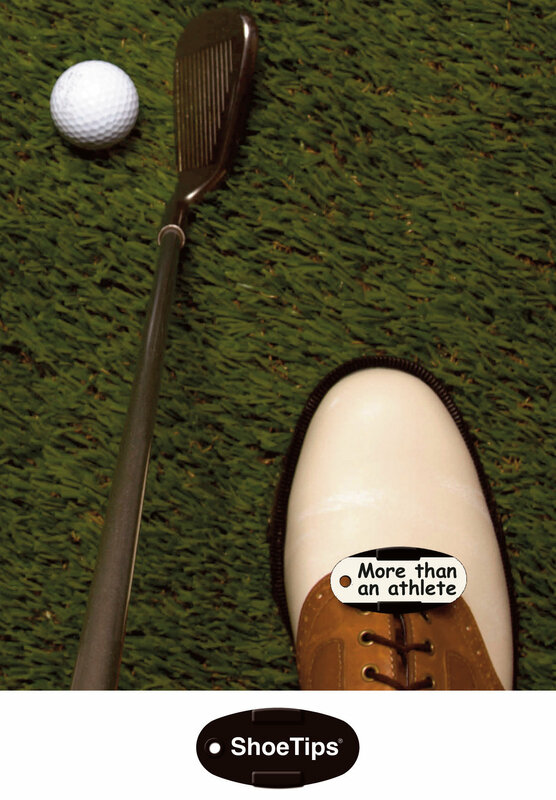 So we looked a bit deeper into the history of athletes writing messages on their sneakers. What we found is that it's "a thing". "Since its invention in the 19th century, the footwear has been about much more than athletics—conveying ideas about national identity, class, race, and other forms of social meaning," according to a December 2016 piece in the Atlantic. It's a fascinating read. Now we know that we're not the first to put words and messages on athletic shoes! In fact we're following a rich tradition of using sneakers as a canvas for expression. The difference of course, is that ShoeTips' messages are inwardly focused and self-directed--intended to benefit the wearer. LeBron and others are projecting their statements out to the world. Our customers just have to remember to put on their shoes. Here's to playing better golf!